Perfect for the young family. This house has three bedrooms, two bathrooms and large living room. 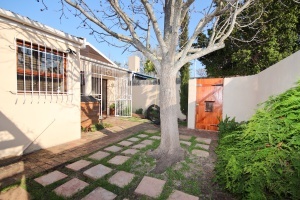 Doors open to the patio with built-in braai, excellent for entertaining. There is a single garage plus secure parking for two more cars. For more information about this Wynberg property for sale follow the link. Showhouse this Sunday, 5 October 2014 from 2pm – 5pm.